Mickey Mouse & Friends "Tsum Tsum'' Mini Plush Collection Just $4.95! You are here: Home / Great Deals / Mickey Mouse & Friends “Tsum Tsum” Mini Plush Collection Just $4.95! Mickey Mouse & Friends “Tsum Tsum” Mini Plush Collection Just $4.95! 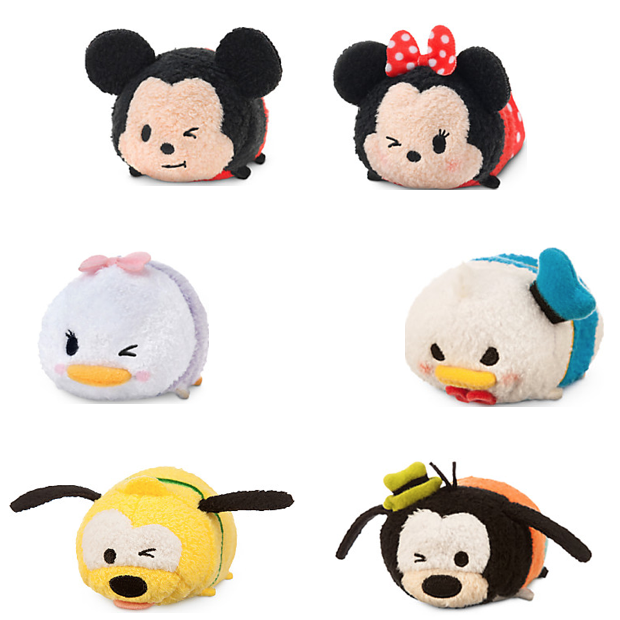 New Tsum Tsum Expressions collection that’s just too cute to miss! Get any of the Mickey Mouse and Friends ‘Tsum Tsum” Mini Plush Collection for just $4.95! You’ll have a pile of fun with all eight of the soft, stackable characters that include Mickey, Minnie, Goofy, Pluto, Donald, Chip, and Dale. Online Exclusive for this weekend only! Take up to 25% off your purchase at Disney Store with promo code KEEPCOOL! FREE shipping on orders $75+ with promo code KEEPCOOL!